One month after the beginning of the ‘Volvo Ocean Race’, from the Alicante coast, plying the first stage, the brave competitors give their best effort and offer us the first binnacles of a journey full of emotions and adrenaline. All have had to face strong winds and tides, and even some of the ships had to start to rationalize their foods with intelligence. Even so, the guys from ‘Dongfeng Race Team’, ‘Abu Dhabi Ocean Racing’ and the ‘Team Brunel’ managed to fight for leadership in these last days, to the extent that the leaderboard keeps changing every single minute! 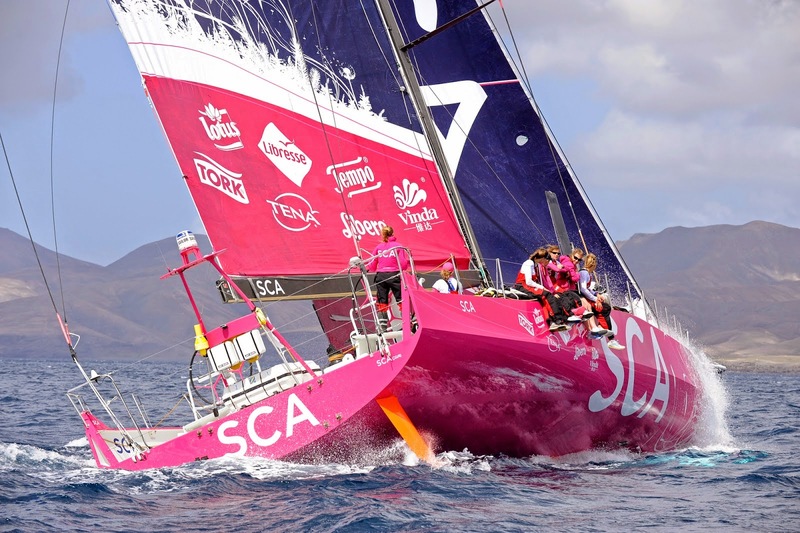 This year, the competition also offers a pleasant surprise, because after thirteen years of ausence of women in the ocean race, the ’Team SCA’, from Sweden, has been to demonstrate to the frivolous ocean than the girls may also face any adversity. “We are tired, didn’t sleep much. But still feel strong” have commented the members from the team than currently stands at last place in the leaderboard by a slightly longer distance than the other competitors; and that is because after crossing the Gibraltar on first place, they couldn’t find the way the ‘doldrums’ that made navigating thirty-five km. of a torrential downpour and even navigating backward, and this has been reason of suffering and sufficient cause to admit than has been the most affected team in the rivalry. Nothing is lost or gained yet, either for them or any of the seven teams, conformed also for the guys from the ‘Team Vestas Wind’, ‘Team Amivedica’ and ‘MAPFRE’. There are no doubts, is a long competition with a duration of seven months between October of this year to June of 2015, navigating through Alicante, Cape Town, Abu Dhabi, Sanya, Auckland, Itajaí, Newport, Lisbon, Lorient and Gothenburg.